Five new members have been elected to sit on the board of trustees of The Radio Academy. Ahmed Hussain, BBC producer, currently on secondment as Head of Prison Radio; Aradhna Tayal, producer and consultant at Clockhouse Media and director at TBC Media Ltd; Dennie Morris, programme director, talkRADIO; Stephanie Hirst, BBC Radio presenter, writer and broadcaster and Steve Taylor, creative commercial director at Bauer Media, have all been appointed trustees. The new trustees, who are voted in by the Radio Academy membership, join the Academy as it is about to embark on the next phase of its growth, with each trustee serving a term of up to three years. Trustees have overall legal responsibility for The Radio Academy and the board is responsible for the overseeing the direction of the Academy, its programmes and how its money is spent. “The elections were incredibly well supported and I’m excited by the new talent, ideas and views the Academy will have at its disposal. We will be looking to their diverse knowledge, experience and expertise to help guide and shape The Radio Academy over the coming months and years." 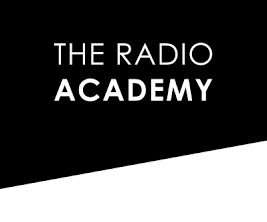 The Radio Academy is a registered charity dedicated to 'the encouragement, recognition and promotion of excellence in UK broadcasting and audio production'.